National organization working for the humane treatment of cats. Advocates for low-cost spay and neuter policies and programs, as well as lifesaving Trap-Neuter-Return (TNR) and Shelter-Neuter-Return (SNR). Works with animal shelters to reduce the rate of euthanasia. 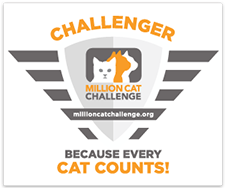 Helps stray and outdoor community cats by promoting humane nonlethal care to improve cats’ lives. ACR works to reduce the number of feral cats living in colonies through Trap-Neuter-Return (TNR). Offers donation-based spay/neuter for feral and stray cats and low-cost spay/neuter for pet cats. Serves Oregon and Southwest Washington. Volunteer organization in Aurora, OR working to improve the quality of life for feral and community cats. Also works to find homes for kittens who have been abandoned or born into feral colonies. Offering spay/neuter services to Columbia County, OR; can also provide financial assistance for demonstrated need. JAWS provides low-cost spay/neuter assistance to applicants who meet the Federal/State guidelines for low-income or receive assistance from the government. JAWS is solely funded for the Clark County, Washington area. Our mission is to make spay/neuter services affordable and accessible to all, regardless of income level. Provides discount coupons for participating veterinary clinics in the Portland metro area. Provides limited number of vouchers for low-cost spay/neuter services in Marion and Polk Counties. Operates a clinic offering high volume, high quality, low cost spay and neuter services; also offers limited veterinary services. Portland metro area-wide program to assist low-income families and their cats by offering affordable spay & neuter surgeries for those who qualify. Founded in 1979 by attorneys active in shaping the emerging field of animal law, the Animal Legal Defense Fund’s mission is to protect the lives and advance the interests of animals through the legal system. National organization which maintains a Portland office. We educate and support law students and legal professionals interested in animal law through classes, conferences, scholarship, and clinical opportunities.